Darien is a town in Fairfield County, Connecticut, United States. A relatively small community on Connecticut's "Gold Coast", the population was 20,732 at the 2010 census. 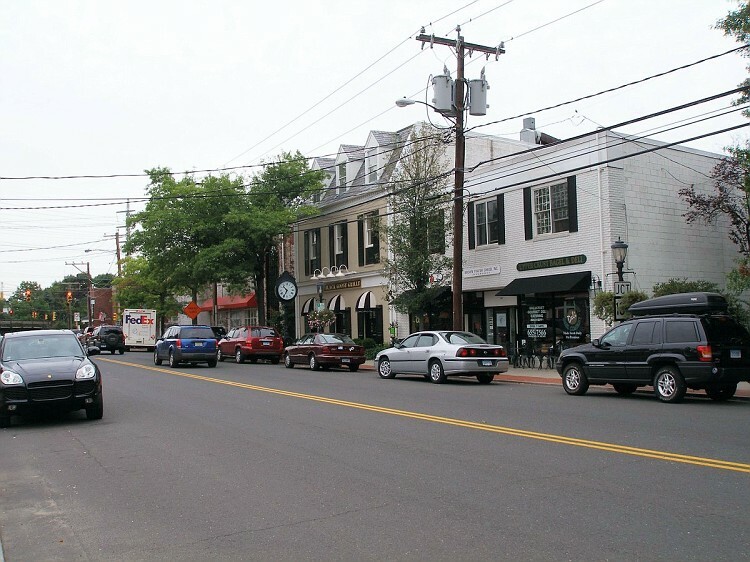 Darien is one of the wealthiest communities in the US; it was listed at #9 on CNN Money's list of "top-earning towns" in the United States as of 2011. The town name is pronounced /dɛəriˈæn/ (like "Dairy-Ann"), with stress on the last syllable, and has been referred to as such at least as far back as 1913. Residents say this is still the proper pronunciation, which in the local dialect is more precisely [dɛəɹiˈɛən]. "You can always tell when someone is not from here, because they do pronounce it the way it's spelled," Louise Berry, director of the town library, said in a 2006 interview. Elected bodies in the town government are a five-member Board of Selectmen, a nine member Board of Education, a seven-member Board of Finance, a six-member Planning and Zoning Commission, three-member Board of Assessment Appeals, and a 100-member, nonpartisan Representative Town Meeting. The town has several elective offices as well: the town clerk, probate judge, registrar of voters, tax collector and treasurer. As of December 1, 2005, the town had 12,099 registered voters, with 6,445 Republicans (53.1 percent), 1,940 Democrats (16 percent) and 3,703 unaffiliated voters (30.6 percent). Darien is primarily a Republican town, voting for George W. Bush in 2000 and 2004, and John McCain in the 2008 election. However, in 2003, Evonne Klein replaced Robert Harrel as First Selectman, becoming the first Democrat to win the post in 14 years. Klein was re-elected in 2005 and again in 2007, but did not run in the November 3, 2009 election, which was won by Republican David Campbell. In 2005, the mill rate of Darien was 13.4 and is reportedly 13.17 mills for the 2012 fiscal year. According to the United States Census Bureau, the town has a total area of 14.8 square miles (38 km2), of which 12.9 square miles (33 km2) is land and 2.0 square miles (5.2 km2), or 13.41%, is water. The town has four exits on the northbound-traffic side of Interstate 95 (Exits 10–13) and three on the southbound-traffic side (where there is no Exit 12). Its northern border is just south of the Merritt Parkway, where Exits 36 and 37 are closest to the town. It also has two Metro-North railroad stations for commuter trains into New York City, with a 38 to 39 miles (61 to 63 km) commute of 46–50 minutes from Noroton Heights and 49–53 minutes from Darien. (The Talmadge Hill railroad station on the New Canaan Branch is within walking distance of homes at the far northwestern corner of town, and the Rowayton railroad station is within walking distance of homes near Raymond Street in the southeastern part of town.) Most trains run non-stop after Stamford into New York City's 125th Street, then Grand Central Terminal. Along with the New Haven Line of Metro-North Railroad and Interstate 95, US Route 1, known locally as the Boston Post Road, or, more commonly, the Post Road, runs east-west through the southern side of town. Except for the Noroton Heights business district, commercial zoning is extremely limited outside of the town-wide strip along the Post Road. Darien is bordered on the west by Stamford, on the north by New Canaan, and on the east by Norwalk. On the south it faces Long Island Sound. It is part of the "panhandle" of Connecticut jutting into New York state. The town has 16.5 miles (26.6 km) of coastline and five harbors. In addition to some small neighborhoods, the larger divisions of the town are Noroton (roughly in the southwest corner of town), Noroton Heights (roughly north of Interstate 95 to Middlesex Road with an eastern boundary somewhere east of Noroton Avenue), and Tokeneke, in the southeastern end of town. Springdale is west of Wee Burn Country Club and south of Woodway Country Club, centered around St. John's Catholic Cemetery, across the town line from the Springdale section of Stamford. The name "Norporiton" originates from an Indian word assigned to the river along Darien's border with Stamford. This section of Darien is defined by two peninsulas that claw their way into Long Island Sound, their curved appendages protecting enough coves and inlets to make the area a haven for beachgoers and sailors. The shorter of the peninsulas, Noroton Neck, is divided into shore communities like Noroton Bay and Pratt Island. Long Neck peninsula, which extends farther into Long Island Sound, provides westerly views of Manhattan. Accessed by the Ring's End Landing bridge, a graceful stone structure that marks a major shipping point for early settlers, Long Neck became a summer destination for the wealthy when rail travel made it accessible during the mid-19th century. Though the general geographic reference to this land feature is "Long Neck Point", therein are two different neighborhoods, each with their own main road and distinct features. On its east side, Long Neck Point Road stretches south beginning at Ring's End/Gorham's Pond Bridge and terminates at the southerly most tip of land. This area is somewhat inland and away from the eastern shoreline and at a relatively high elevation above the water. Pear Tree Point Road, also beginning at Ring's End/Gorham's Pond Bridge, runs south along the western side of the Point adjacent to "The Gut" and to outer Noroton Harbor. This charming route hugs the shoreline at an elevation close enough to the tides (at some points) such that storm conditions can bring the salt water harbor over the road. Approximately half-way south along the peninsula, Pear Tree Point Road turns abruptly to the east, ninety degrees, heading uphill and connecting to Long Neck Point Road point. Darien has a humid subtropical climate, similar to that of New York City, with mild to warm humid summers and cold to very cold winters. The highest recorded temperature was 103 °F (39 °C) in July 1966, while the lowest recorded temperature was -15 °F (-26 °C) in 1968. Snowfall is generally frequent in winter while average precipitation is most common in September. According to early records, the first clearings of land were made by men from the New Haven and Wethersfield colonies and from Norwalk in about 1641. It was not until 1740, however, that the Middlesex Society of the Town of Stamford built the first community church, now the First Congregational Church of Darien (which stands on the original site at the corner of Brookside Road and the Boston Post Road). The area became Middlesex Parish in 1737. It was incorporated as the Town of Darien in 1820. Tories (Loyalists) raided the town several times during the American Revolution, at one point taking 26 men in the parish prisoner for five months, including the Rev. Moses Mather, pastor of the parish. The Loyalist-Patriot conflict in Darien is the setting for the novel Tory Hole, the first book by children's author Louise Hall Tharp. According to the Darien Historical Society, the name Darien was decided upon when the residents of the town could not agree on a name to replace Middlesex Parish, many families wanting it to be named after themselves. A sailor who had traveled to Darién, Panama, then part of the Spanish Empire, suggested the name Darien, which was eventually adopted by the people of the town. Until the advent of the railroad in 1848, Darien remained a small, rural community of about 1,000. After the Civil War, the town became one of the many resorts where New Yorkers built luxurious, grand summer homes. Darien has a well-established reputation as a former sundown town, having effectively kept out African American and Jewish families for decades through the exclusionary practices of realtors and the hostile behavior of individuals. The 1947 Academy Award-winning film Gentleman's Agreement by Elia Kazan treats Darien's exclusion of Jews and is based on the novel Gentleman's Agreement by Laura Hobson. There were 6,592 households out of which 46.4% had children under the age of 18 living with them, 74.5% were married couples living together, 5.6% had a woman whose husband did not live with her, and 18.3% were non-families. 15.6% of all households were made up of individuals and 8.3% had someone living alone who was 65 years of age or older. The average household size was 2.95 and the average family size was 3.31. In the town the population was spread out with 32.5% under the age of 18, 3.0% from 18 to 24, 28.2% from 25 to 44, 24.0% from 45 to 64, and 12.4% who were 65 years of age or older. The median age was 38 years. For every 100 females there were 96.2 males. For every 100 females age 18 and over, there were 89.7 males. JetBlue Airways has finance and scheduling operations at 19 Old Kings Highway South in Darien. In mid 2012 JetBlue combined the Darien and Forest Hills, Queens, New York City headquarters into its headquarters in Long Island City, Queens. Pear Tree Point School, originally named Plumfield School, is a private school on Long Neck, educating students in pre-kindergarten through Grade 5. The public library in Darien, the Darien Library, has consistently ranked in the top ten of its category in the HAPLR (Hennen's American Public Library Ratings) Index of libraries. In 2012, it was named a Five Star library by Library Journal, which used four objective measures: visits, circulation, program attendance and internet computer use per capita to compare the level of services libraries provide to their communities. An ambulance service, known as "Darien EMS – Post 53" is the only ambulance service in the nation staffed and run entirely by high school student volunteers. The Explorer post is chartered under the Connecticut Yankee Council, and is considered a scouting unit. The service provides emergency care at no cost to the patient, funded entirely by private donations from town residents. Teenagers are allowed to perform patient care due to the fact that Connecticut is one of the few states in the nation which allows Emergency medical technicians to be certified at age 16. The town of Darien is protected by three independent all-volunteer fire departments in three fire districts. The Darien Fire Department is located at 848 Post Rd.(Rte. 1) in Downtown Darien. The Noroton Fire Department is located at 1873 Post Rd. in the Noroton section of town. The Noroton Heights Fire Department is located at 209 Noroton Ave. in the Noroton Heights section of town. Each fire department responds in conjunction with the other two on most calls and the three fire departments average a total of approximately 1,000 emergency calls for service annually. The three fire departments operate a combined fire apparatus fleet of 6 Engines, 3 Trucks(including 1 Quint), 3 Rescues, 2 Tankers, 1 Fireboat, 1 High-Water Rescue Unit, 3 Utility Units, and 5 Command Units. Regarding ambulance service, see "Post 53" section above. Darien Y – the local YMCA, offers more than 300 programs. The Depot – an adult-supervised youth center for town teenagers in the former Noroton Heights Railroad Station building since the organization's founding in 1989. A student board runs the day-to-day programming; an adult board focuses on fundraising, operations management and capital building projects. Darien is the home of the largest Little League Baseball program in the United States with 1,474 boys and girls participating. McGuane Park – 7.5 acres (30,400 m2), 221 Noroton Ave.
Noroton Yacht Club – Former members of "the world-renowned" club "have included two America's Cup skippers." The club runs the largest junior sailing program in the county. The club was founded in 1928 and built its first clubhouse the following year. Ox Ridge Hunt Club – On 37 acres (150,000 m2), the club hosts a popular annual horse show held since 1926. The club was founded in 1911. Tokeneke Club – When developers of Tokeneke were trying to sell real estate there, they found that ensuring access to a beach removed some hesitation on the part of prospective buyers, so they founded the Tokeneke Beach Club in 1907, acquiring "a small stretch of shore on which stood a dilapidated double-decker bathhouse and a broken pier," soon replaced. The club's original wooden buildings caught fire at a Saturday night party in 1932 and burned to the ground; replacement buildings were later battered by hurricanes. Wee Burn Country Club – formed in 1895, it is the first organized golf club in the state and "either the second or third in the United States." The name of the club was taken from a small stream, Stony Brook, which ran through the old grounds. Originally a small house on the Post Road in Noroton (across the street from St. Luke's Episcopal Church) was rented for a clubhouse and nearby land for a seven-hole course was rented. The lease stipulated that the links couldn't prevent the landlord from continuing to use the fields as pasture for his cows. Eventually more land was bought on Hollow Tree Ridge Road and the course was enlarged to nine holes and then 18 by (at the latest) the 1930s. The club is the largest taxpayer in Darien, with an assessed property value (equal to 70 percent of estimated value) of $29.8 million. As recently as 1999, the club did not allow women as full members – they were subject to restricted tee times and barred from the clubhouse. Woodway Country Club – founded in 1916 when some members of the Wee Burn Country Club decided the small Wee Burn links, then near the Post Road in Noroton, were getting too crowded. The club bought 150 acres (0.61 km2) of land in Darien and another 45 in Stamford, and an 18-hole course was opened July 1, 1918. The club was the sixth largest taxpayer, according to the October 1, 2004 town Grand List. The assessed value of the property (equal to 70 percent of actual estimated value) was $19.9 million. Darien Community Association is a nonprofit group founded more than 83 years ago which provides educational, cultural, recreational and civic programs; raises funds for scholarships and other community philanthropic works (partly through its Darien Thrift Shop); and maintains the Meadowlands mansion as a community resource. The Masonic Club of Darien, Inc., a 501(c)(4) organization founded by area Freemasons in the 1860s, supports local charities and funds scholarships for college bound high school seniors. In addition to donations the Masonic Club of Darien hosts many community events that range from blood drives to informational/educational lectures open to the public. Person-to-Person A 501(c)(3) non-profit agency originally established in 1968 by St. Luke’s Episcopal Church in Darien. Its mission is simple: to bring together the needs of people in disadvantaged areas of nearby communities with the resources of people in Darien and the surrounding areas, thereby providing basic emergency services to low-income individuals and families living in lower Fairfield County. A volunteer-driven agency, Person-to-Person is committed to helping clients achieve self-sufficiency through practical help, advocacy, education and problem-solving initiatives. Programs include Emergency Assistance, Campership and Scholarship. In 2007, Person-to-Person helped more than 20,000 people avert crisis and make ends meet. These efforts are made possible by in-kind donations, a force of more than 2,000 volunteers and financial contributions. Darien is served by two local print/online weeklies, the Darien Times and the Darien News-Review, three exclusively online local news websites, HamletHub Darien, the Darien Patch and The Daily Voice, Darien, and an online 'Insider Guide' called AllAboutDarien.com. Most public meetings are filmed and broadcast live, and recorded for later broadcast by Cablevision's Channel 79 Government Access. Several people notable for their esteemed place in American history have called Darien home: Charles Lindbergh the late aviator, and his wife, author Anne Morrow Lindbergh lived on Tokeneke Trail. Steel magnate and philanthropist Andrew Carnegie vacationed for several summers at what became the Convent of the Sacred Heart (divided into many private estates in the 1970s) at Long Neck Point. Christopher Shays, the former Republican congressman representing Connecticut's Fourth District, was born in Darien (and now lives in Bridgeport). Actors and actresses who have lived in town include former resident Christopher Plummer, Kate Bosworth, Topher Grace, and Chloë Sevigny. Actress Carol Kane attended Cherry Lawn School in Darien until 1965. Film director Gus Van Sant also went to high school in Darien. Jazz saxophonist Gerry Mulligan lived in Darien in later life and died there in 1996. Guitarist Chris Risola grew up in Darien. Musician Moby lived in Darien during his adolescence. Rudolph Valentino was said to have had a Spanish-style home at the entrance of Salem Straits. Emmy-winning television producer and writer Tom Gammill also grew up in Darien. People famous in other fields have also called Darien home: Leslie Groves, military head of the Manhattan Project, lived in town after the project ended. Paul Manship, sculptor of the Prometheus figure at Rockefeller Center, spent summers living on Leroy Avenue and working on his art in the early 1930s. Photojournalist Margaret Bourke-White lived in town first with author Erskine Caldwell, then in the same home after their divorce. Helen Frankenthaler, a major American Abstract Expressionist painter, lived in Darien in later life and maintained her primary studio there. Novelist and playwright Richard Bissell lived in Darien from the early 1950s to the mid-1970s. Artist John Stobart lived on Crane Road for many years, and prints of his historical painting of Ring's End Landing were popular in the 1970s, after the town's 150th anniversary. Producer and NBC executive Grant Tinker reared his family there in the 1950s. Former Benton & Bowles advertising agency executive and noted big band radio broadcaster G. Emerson Cole lived in Darien for 35 years. Kiss drummer Peter Criss once owned a home in Darien. Emily Barringer (1876–1961), the world's first female ambulance surgeon and the first woman to secure a surgical residency, resided in Darien (and New Canaan) until her death. Current notable residents include New York Yankees General Manager Brian Cashman; Steve Wilkos, host of The Steve Wilkos Show; and 60 Minutes correspondent and CBS Evening News anchor Scott Pelley. Local news anchor Rebecca Surran of News 12 Connecticut is also resident of Darien. The Darien Sport Shop was mentioned in one of the books in the popular Gossip Girl series. ^ "Race, Hispanic or Latino, Age, and Housing Occupancy: 2010 Census Redistricting Data (Public Law 94-171) Summary File (QT-PL), Darien town, Connecticut". 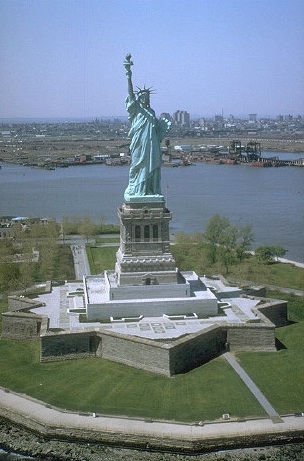 U.S. Census Bureau, American FactFinder 2. http://factfinder2.census.gov. Retrieved August 8, 2011. ^ "Top-earning towns". CNN. 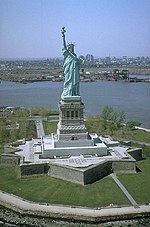 http://money.cnn.com/galleries/2011/moneymag/1108/gallery.best_places_top_earning_towns.moneymag/9.html. ^ "Average weather for Darien, CT". weather.com. http://www.weather.com/weather/wxclimatology/monthly/graph/06820. Retrieved February 1, 2014. ^ "JetBlue Plants Its Flag in New York City with New Headquarters Location." JetBlue Airways. March 22, 2010. Retrieved on July 7, 2010. ^ Chambers, Marcia (March 28, 1997). "Female Golfers Are Challenging Country Club Rules". The New York Times. http://query.nytimes.com/gst/fullpage.html?res=9800E6DB153AF93BA15750C0A961958260&sec=&spon=&pagewanted=all. Retrieved May 1, 2010. ^ Web site of the Darien Community Association, accessed April 12, 2007 Archived February 6, 2007 at the Wayback Machine. ^ "Helen Frankenthaler" at the Connecticut Women's Hall of Fame. Retrieved January 30, 2010. This page uses content from the English language Wikipedia. The original content was at Darien, Connecticut. The list of authors can be seen in the page history. As with this Familypedia wiki, the content of Wikipedia is available under the Creative Commons License.